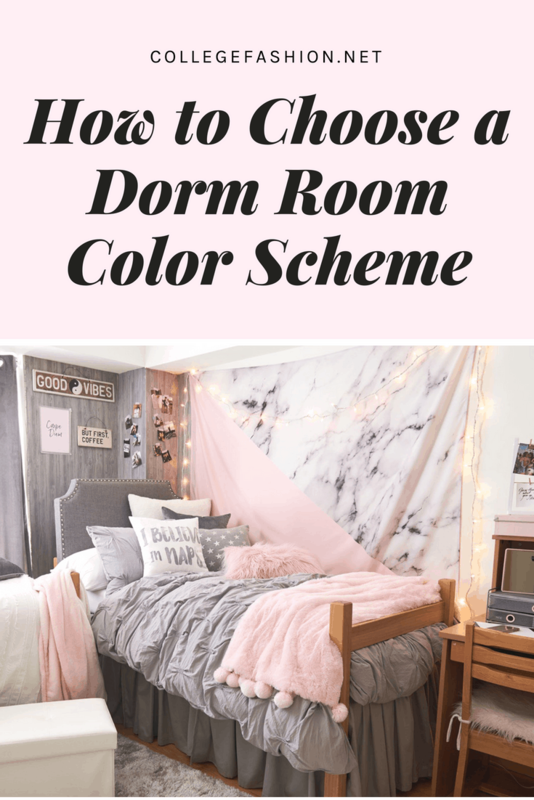 How to mix and match colors to make the best dorm room decor ever. Ah dorm rooms, the beloved pocket sized bedrooms we learn to live in. 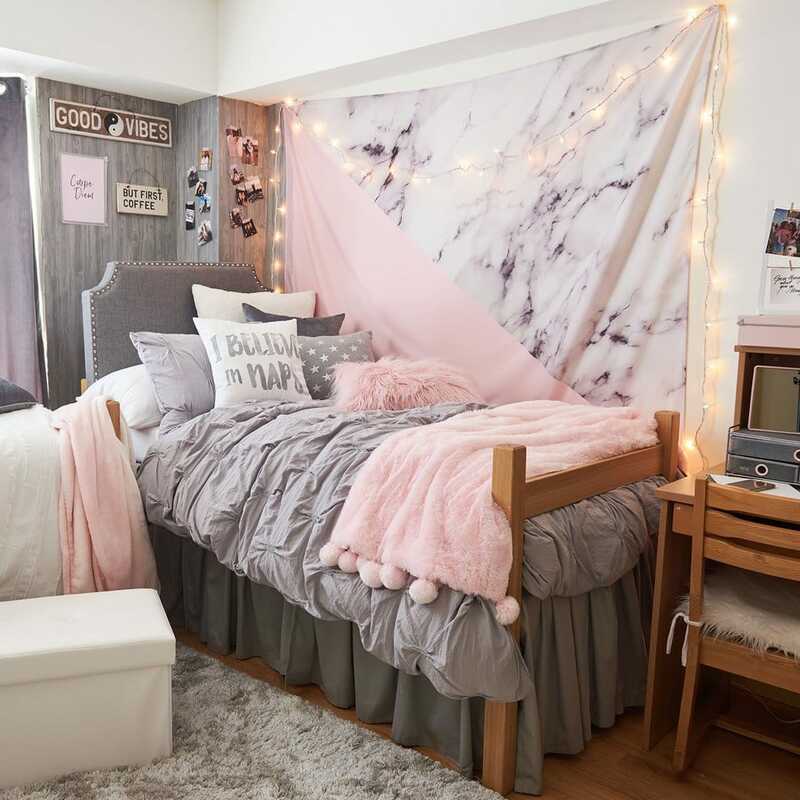 Navigating the start of a new school year can be hard, and your dorm is meant to be a sanctuary you can return to each night. Making it feel like home is almost as important as picking your class schedule. I don’t know about you, but I was thinking about decorating my dorm room ages before I needed to. I never put much effort into my room at home, so I took this as the first opportunity to decorate however I wanted. Dorm decorating can be overwhelming if you don’t know what you want, or what looks good together. 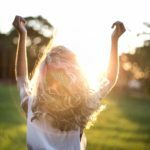 I want the process to be as easy and fun as possible, so I’ve put together a cheat sheet of sorts to help you out. Today, we’re going to start with the basics: Choosing a color scheme for your room and organizing your dorm around it. This process will provide a foundation that will help the rest of your room to come together beautifully. Ready to learn more? Read on. Starting off, if you’ve ever had an art class, they likely went over the color wheel. Blue, yellow and red are primary colors, while purple, orange and green are tertiary colors, offsets of primary colors. 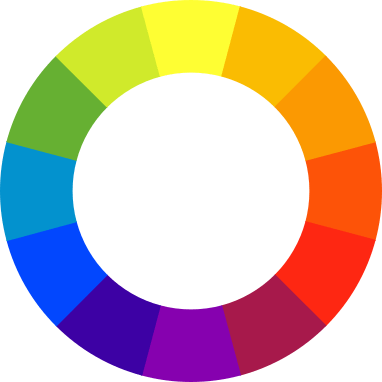 When you look at a primary color, the color directly across the wheel is the best complementary color — therefore orange and blue, purple and yellow, red and green all look great together. You don’t have to only decorate with those shades, though — colors next to each other on the color wheel; like purple, green and blue, complement each other in decorating. The same holds true for warm colors like red, orange, and yellow. Keeping to a certain color family like cool or warm can provide a certain atmosphere to the room. Calming blues can help make the space spa like and tranquil, while bright oranges and yellows can uplift you and brighten the space and possibly your mood. Knowing all of this, the simplest way to tie your room together is to select a basic color palette and start from there. 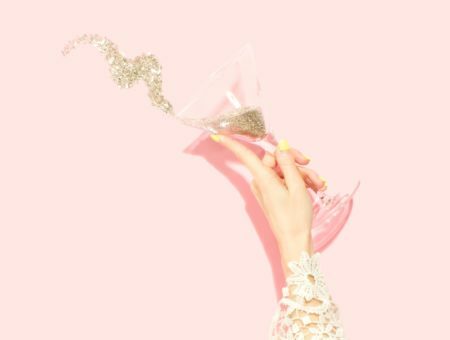 Choose eye-pleasing colors that suit your personality, but also exercise caution — stick with 2-4 basic colors from the same or similar families and choose no more than 1-2 colors that aren’t in the same color family but which complement your original choices. These extra 1-2 colors give you more freedom when choosing more minor furnishings, and also break up a potentially monotonous color scheme with a touch of surprise. 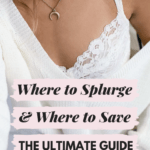 Want some ideas to get you started? Here are some example dorm room color schemes that you can base your room around. Often people go for bright colors to make a small space lively, however you can always stick to neutrals like white, grey and taupe to make a space look larger. 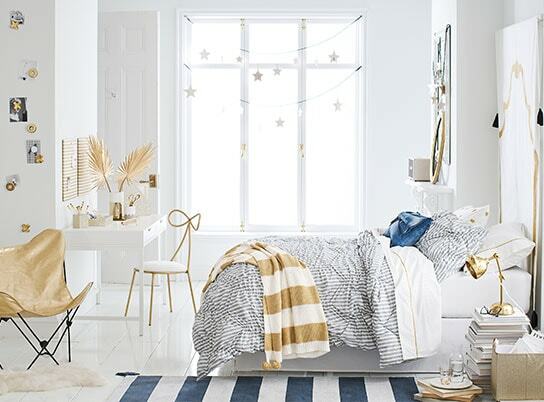 Colors like grey or white with pops of metallic make the space classic and can look older and less like a typical dorm. I will warn you though, white will stain easily so proceed with caution unless you are very, very neat. If you choose to decorate with a tapestry, as many people do in college, you can use the colors and art as a guiding point for your decorations. This will help the room look cohesive and put together. 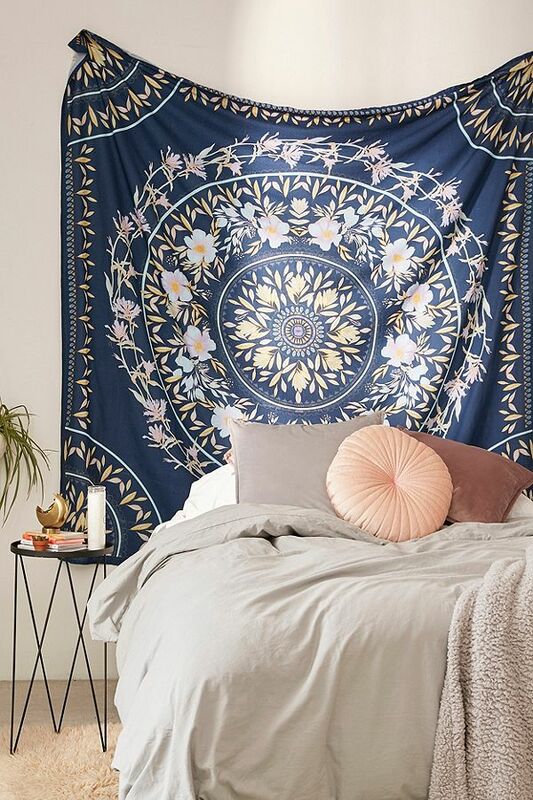 This cool tapestry from Urban Outfitters has enough colors that the buyer has many options. 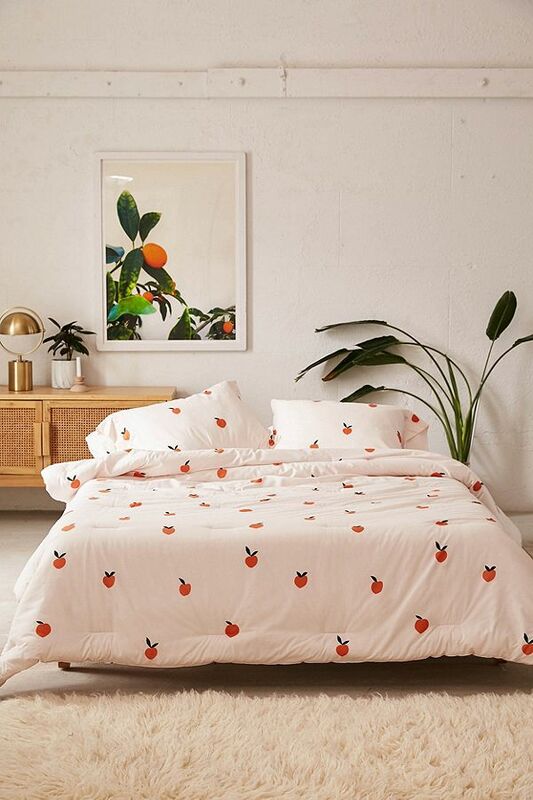 Here, the stylists at UO pulled a peach and gray from the tapestry for the bedding. In this girly set from Dormify, a pastel pink meets a slate gray and pops of white for a simple but eye-catching color scheme. Sometimes, all you need is one statement color (in this case, the pale pink), and you can use neutrals for the rest. If you love a preppy look, you might want to embrace some brights as seen in the example above. In this example, a Lilly Pulitzer throw pillow provides the base, and the rest of the colors in the color scheme are taken from the colors of the pillow. While they’re all bright, they somehow work together for a fun, festive feel. In contrast to room #3, above, which incorporates pink + neutrals in pale tones, this room goes bold by mixing bright pink and bold black as the neutral. You can see the difference in the feels of each room — while room #3 is calm and relaxing, this room is edgy and statement-making. This room from PB Dorm mixes different shades of primary colors for a dorm color scheme in the form of blue and gold. Since both colors are muted, rather than bright, and are offset with neutrals like white and gray, this room has a soothing, relaxed feel. A good rule to follow with color design is to make the primary aspects of your room, like bedspread and sheets, neutral, and then add pops of color with pillows, art and lights. In this room, the bedding is gray but the blue pillows add pop. 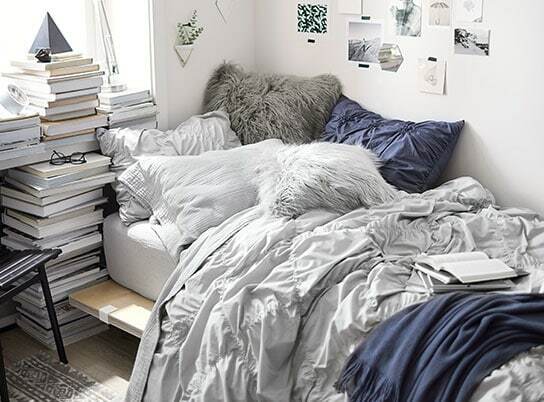 If you’re living in a dorm, the bed becomes the main focal point of the room. There usually isn’t enough space for a couch and so your bed becomes a place to sleep, hang out, share secrets, and study. Using the colors of your bedspread or pillows as inspiration for the rest of the room is common for all bedrooms. In the example above, the student even put a Pantone swatch of her pillow color on the wall as art! If you want to mix up a variety of colors but still give your room a calm, put-together feel, try mixing pastels as seen in the room above. This creates a romantic, almost vintaqe-inspired feel. In this room from Urban Outfitters, orange and green, two tertiary colors, form the color scheme. Although both colors are bright, they are again offset by neutrals to avoid looking too crazy. This is an easy way to decide on a dorm color scheme if you really love a single color like blue, for instance. In the room above, a neutral bedspread is styled with accessories in shades of blue and blue-green. Naturally, these colors go together and create a harmonious feel. Like we always say in fashion, leopard print is a neutral, so you can wear it with any outfit. 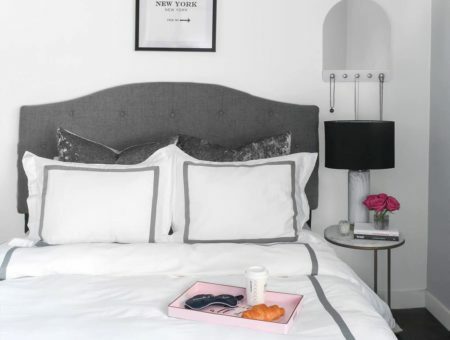 Same goes with your room — a leopard print duvet not only provides you with a few different colors you can pull from for your art, but looks great with basically everything, especially other neutrals as seen here. This IKEA dorm is described as “fresh and artsy” and it’s all thanks to the color scheme. By mixing pops of bright colors on the bedding and walls, this room takes color risks that pay off in a big way. It’s proof that an “anti color scheme” can work just as well as a planned scheme if you want a quirkier feel. This pretty room from Dormify has a dreamy bohemian feel thanks to its use of quirky muted tones of blue, aqua, and purple spread across the bedding and walls. Though the bedding is white, you could easily create this same feel with a lavender-toned duvet and white pillows. Make sure to contact your roommate(s), if applicable, as soon as possible about your dorm. Matching bedspreads might not be feasible, but perhaps she would be interested in coordinating color schemes. Try to find common ground on at least one color, and build from there. 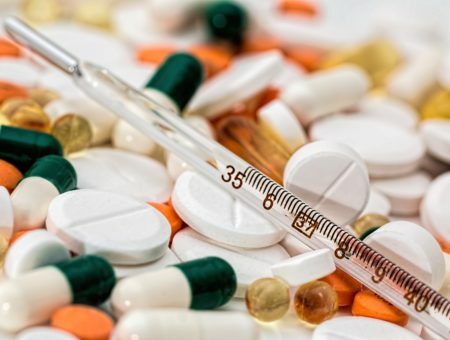 Want a fun quiz to help you decide? Take our dorm room color scheme quiz right now! 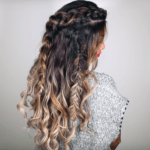 Still unsure which color scheme suits you best? Choose a favorite photograph or image and try this color palette finder, which takes your image and picks out the five most prominent colors, giving you a handy scheme to start with. You could also browse sites like ColourLovers for more ideas, or open up Instagram and base your room around your ‘gram *aesthetic*. Either way, images you naturally gravitate towards are a good indication of which colors fit your personality. How are you planning to decorate your dorm room? Tell me your color scheme below in the comments! I went with a warm and colorful scheme my first year with lots of pops with my art and pillows.